It's fair to say, I think, that Bella in the Wych Elm was definitely not the German cabaret singer Clara Bauerle. I've laid out the facts in other blogs and the evidence seems pretty overwhelming. But even though we can lay Clara Bauerle to rest, there is another Clara whose name has been circulated as a candidate for Bella in the Wych Elm - a woman named Clarabella Dronkers. This particular theory is awash with far-fetched rumours and very few facts, but let's take a look at the general gist of it. 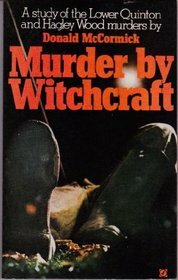 Back in 1968, Donald McCormick published his book, Murder by Witchcraft. The book is based on rather sketchy "research" and some modern scholars have suggested that he played fast and loose with the facts. Some have gone so far as to refer to his books as fictionalized history... or historical fiction. In his book, McCormick refers to one Clarabella Dronkers and makes the connection with a spy of the same name. Could it be? Was Bella in the Wych Elm the hapless wife of another spy? Let's start with some concrete facts. Johannes Marinus Dronkers was a hapless Dutch man, a former postal clerk, who ran into financial trouble once the Germans invaded Holland. He was recruited by the German Abwehr and in May 1942, along with a couple of unsuspecting legitimate Dutch refugees, sailed for the shores of England in a yacht named Joppe. They ran into engine trouble along the way but were rescued by a British ship and taken in tow. Once they landed, as was normal procedure for Continental refugees, the three men were interrogated numerous times at the Royal Victoria Patriotic Schools. The British suspected that Dronkers was a German agent but also felt that he was such a poor specimen of a man that the Germans would never have used him as a spy! Alas... he was a German agent... and he eventually collapsed under questioning. After collapsing under questioning, Dronkers was sent to the tender mercies of Lt. Col. R.W.G. Stephens at Camp 020 where he promptly spilled out his sad story. He had gotten into financial difficulties and his brother-in-law (husband of his wife's sister) had suggested an espionage career with the German Abwehr. I declare that I had no intention of doing anything for the Germans, or carrying out any of my instructions once I had arrived in England. I accepted the proposition which was made to me because I did not earn enough money to keep myself and my wife decently in Holland and I could not bear to see my wife suffer. Stephens and his fellow interrogators took a rather dim view of Dronkers' wife who, it would appear, was so hungry for finances that she would send her husband on a dangerous espionage mission. One gets the impression that Dronkers was a rather hen-pecked husband who would do anything to keep his wife happy. His picture certainly gives the impression of a rather meek and mild-mannered gentleman. 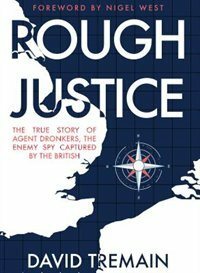 Dronkers was put on trial in late 1942, found guilty, and sentenced to death. He was hanged on 31 December 1942 at Wandsworth Prison. Before he was executed, Dronkers wrote a farewell letter to his wife which was helpfully translated by MI5. It was to have been delivered to his wife at the end of the war, but it never was. It now sits in Dronkers' file at the National Archives. I don't know when you will receive this letter, neither do I know whether it will be before or after the end of this war, but in any case I shall not be alive when you do. It is, therefore, my last farewell in this life and it is very difficult for me to leave you behind alone. I have been accused of having come here with the intention of committing espionage and for that I have been sentenced to death and tomorrow the sentence will be carried out exactly on the last day of the year. I have constantly maintained by innocence but was not believed and therefore, I also will fall as a victim of this war. I am, however, completely prepared to depart, because I know in "Whom" I have believed and God will accept me in his eternal paternal house where my father went before me. You may be certain that God will also look after you whatever may happen, always ask him for help and guidance and you will go short of nothing. All my property here will be sent to you and anything at home now belongs to you and you can do with it as you please. My darling, I know that whatever I may have done against you has been forgiven by you, because I know that you have always loved me and I also know that my love for you is still complete and that I have always done my best to give you to the best of my ability. Whatever you may think; I wish I had never done or said this or that, you must realise that I am convinced that you have always tried to act in my best interests and that I have forgiven you all. Give a hearty greeting from me to all and until we meet again up above, Mother, Annie and Henk, Harry and his little wife and the little one, they are all very dear to me, Bets and Piet and the boys, tell them also that I have forgiven them their silence. And now my darling, a farewell to all friends, Marie a last greeting. What more can I write, except that I have spent a time here which can be called good in all respects, sufficient food, my cigarettes at the right time and good treatment. I have made friends here especially with the clergyman of this Prison. He has been like a father unto me. And now my dear wife, I take leave of you for ever. Do not weep for me because I shall be happy and your sadness would hamper my happiness. So, we do know that Dronkers had a wife, but what was her name? Was it Clarabella? Was her hunger for money and fortune so great that she would have taken on a one-way trip to England via parachute? The short answer is no. We have only to look at Dronkers MI5 files to quickly discover that his wife was not named Clarabella. His wife was Elise Antoinette Eleanora Seignette. Her name was not Marie, as has recently been claimed in the HD Paranormal film, Bella in the Wych Elm. That name was pulled out of Dronkers' last letter and is simply a woman that Dronkers wanted to send greetings to, along with other people. In 2017, Canadian author David Tremain wrote a comprehensive book on the Dronkers espionage case. Tremain helpfully traced the genealogies of Dronkers and his wife. Elise was born in Den Helder, Netherlands on 15 January, 1893, the daughter of Benjamin Egbertus Cornelius Seignette and Elisabeth Koorn. Her parents were apparently short on female names. They had had another daughter, born 1891, died 1892, also named Elisa Antoinette Eleanora. It was rather common back then, if a child died shortly after birth to name a subsequent child after the deceased one. However, in 1895, the couple had another daughter whom they named Eleanora Antoinette Elise. Confusing to say the least. Elise's sister Eleanora married a Gerard Jozeph Marie Moussault on 21 September 1920 (they had 2 children). 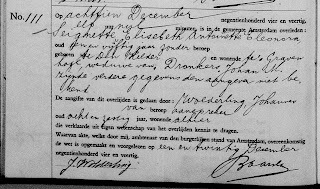 Our Elise married Johannes Marinus Dronkers on 10 June 1926 in Velsen, Netherlands. The couple apparently had no children. In 1941, the projected year of Bella's death, Elise would have been 48 years old, rather outside the age range postulated by pathologist Dr. Webster (25-40 but more likely 35 +/- a few years). In addition, such a theory would necessitate sending Dronkers wife to England ahead of him. Rather unlikely. 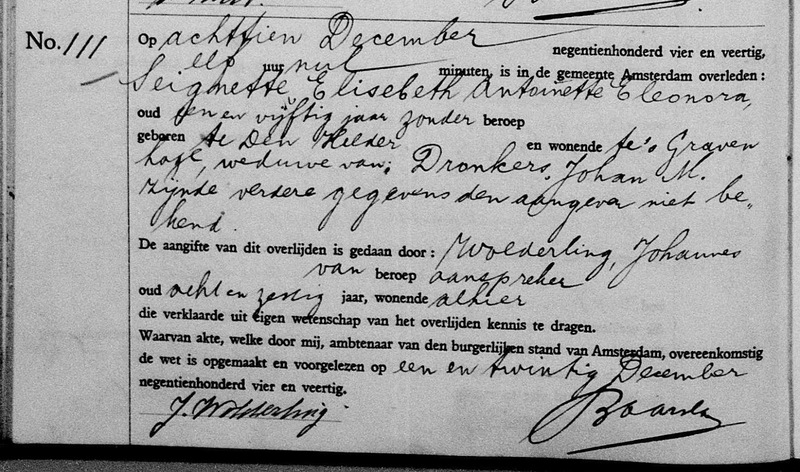 And, if we needed another nail in the coffin, Elise actually passed away on 18 December 1944 in Amsterdam. It has been alleged that 'Bella' was a Dutch woman named Clarabella who was a Nazi spy, and may have been Dronkers' wife, who had been murdered in about 1941 and her body stuffed in a wych elm (really just an elm) in Hagley Wood, part of the Hagley Hall estate, near Kidderminster, in the West Midlands. The story, perpetrated by a number of websites, is so ridiculous that no further discussion is warranted. But whoever she was, she was not Dronker's wife. I think we can safely state that Bella in the Wych Elm was NOT the wife of Dutchman Johannes Marinus Dronkers. National Archives - Johannes Marinus Dronkers files - KV 2/43, 2/44, 2/45 and 2/46.